His contract with the French club has come to an end, and the shaningans regarding an extension have reached soap opera proportions on both sides of the channel. With Mourad Boujallel involved perhaps pantomime would be a more accurate description of events. “For my part, I am convinced that we lost the Top 14 final because of his absence”. That last quote really hits the nail on the head, underlining Boujallels fury that his star full back missed the Top 14 final due to a clause in his contract that allowed him full release for British and Irish Lions duty in New Zealand. Days before the crucial semi final against La Rochelle in Marseille Boujallel was rattling his gums on television radio and written media announcing that he was going to offer a vastly reduced contract to Halfpenny, not ideal preparation for big game you would think. But Leigh, a shy modest character with a work ethic second to none, managed to keep his focus, and his immaculate goal kicking at the Orange Velodrome played a huge part in taking Toulon to the final in Paris. An offer from Cardiff Blues under a national dual contract with the Welsh Rugby Union was turned down by Halfpenny due to the length of contract offered rather than the drastically reduced monthly income it would produce. His partner Jess is understandably keen to stay in this beautiful region of France where they have both settled and embraced the way of life. 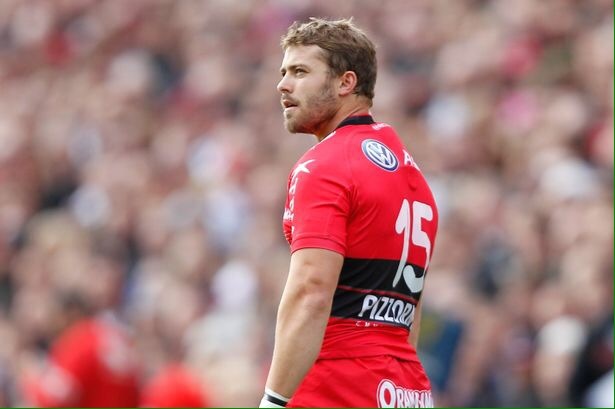 Possible moves to Bath or another Top 14 club are on the cards should the Toulon deal not be agreed, one thing is for sure a decision will have to be reached very soon.